Ashleigh Walters doesn’t just bleed orange and blue; she lives by what she learned at Auburn University every single day. In fact, she and her husband, Andrew, a fellow Auburn alum, believe so strongly in the line from the Auburn Creed — “I can only count on what I earn. Therefore, I believe in work, hard work” — that they saved a business from failing and transformed its culture with new leadership. The former Ashleigh Adsit said she always wanted to be a math and science teacher, but her mother encouraged her to consider engineering after receiving a flyer from North Carolina State and Bowater, the paper mill where her father worked in the tiny Tennessee town of Riceville. After a meeting and a plant tour, Ashleigh strongly considered a career in manufacturing. “I always tell people, ‘You cannot tell me it’s not cool that a pine tree gets turned into toilet paper,’” she said. Ashleigh was raised in a tradition of hard work and perseverance. Her father’s job as a back tender at the mill made him the breadwinner for a family of five. It made sense then for Ashleigh to attend a college where family and hard work were the culture — Auburn University — with a strong engineering program — the Samuel Ginn College of Engineering. A chemical engineering major on the Plains, Ashleigh was a part of the Technical Association of the Pulp and Paper Industry, or TAPPI, Paper Express Team and Cupola Engineering Society, as well as Sigma Kappa sorority. Ashleigh and Andrew met as freshmen in 1998 and graduated and married in 2002. Andrew’s degree is in mechanical engineering. 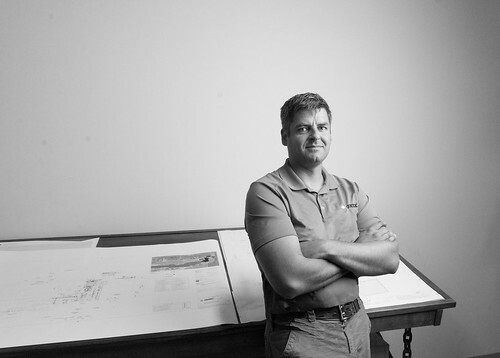 Andrew, who grew up in his father’s business, Onex, an industrial furnace service company in Erie, Pennsylvania, started the southern division of the company. Ashleigh joined the family business in 2003 as a technical salesperson for the pulp and paper industry. It didn’t take long for both Walters to work their separate ways up in the company. They took note as Onex changed and diversified as industry needs fluctuated. In 2013, Ashleigh, a stay-at-home mom raising the couple’s young boys, Jackson and Carson, received an offer from her father-in-law to help lead the company out of potentially dire financial straits. It may not have been the right time, but she recalled turning to her roots in “work, hard work” and agreed to take on the challenge. After running and growing the business for five years, the couple purchased Onex from the senior Walters. Onex currently services both the inside (refractory or insulating lining) and outside (combustion system) of an industrial furnace. It is unique as a company as normally two separate contractors are necessary for these jobs. Onex also designs and builds brand new furnaces for the forge and heat treatment industries. Ashleigh is president, handling all the business operations, while Andrew is vice president. Ashleigh is proud Onex is a woman-owned business and is determined to encourage more women to join the manufacturing industry. Data from the U.S. Census Bureau indicates only 29 percent of manufacturing workers were women in 2016. While addressing the national summit for Women in Manufacturing, she stated, “Because we understand and work in the industries that many women would never consider for their career, we need to share our perspective and raise awareness. In Erie, Ashleigh is quite involved in community outreach, including educating students on the careers available in manufacturing and serving on boards for the local manufacturing extension program, the Northwest Pennsylvania Industrial Resource Center and the Western Pennsylvania chapter of Women in Manufacturing. She credits much of her success to her family and an Auburn education. And then there’s the Auburn Creed. 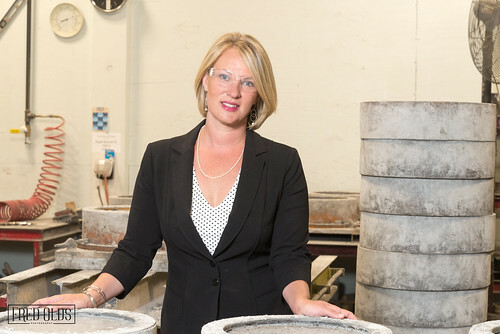 Ashleigh Walters, a 2002 chemical engineering alumna, currently owns and operates Onex, an industrial furnace service company, with her husband, Andrew Walters, a 2002 mechanical engineering alumnus. Andrew Walters, a 2002 mechanical engineering alumnus, owns and operates Onex, an industrial furnace service company, with his wife, Ashleigh Walters, a 2002 chemical engineering alumna. 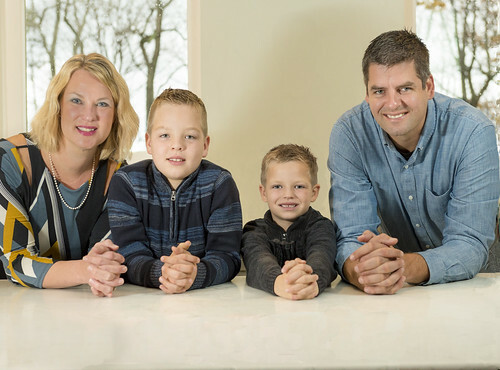 Together, Ashleigh and Andrew Walters, both 2002 Auburn Engineering alumni, own and operate an industrial furnace service company in Erie, Pennsylvania, and raise two boys, Jackson and Carson.